June | 2013 | Save the Kales! 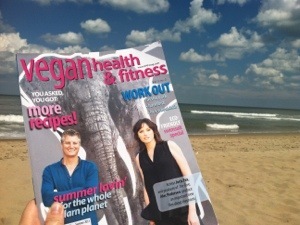 Did you know Allyson Kramer has a new cookbook, available on newsstands right this moment? 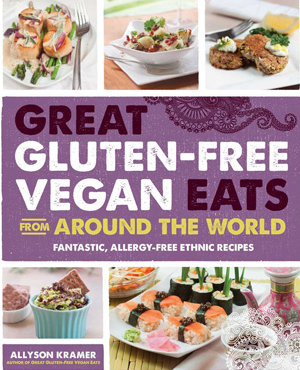 Her impressive, best-selling title Great Gluten Free Vegan Eats gets some international flair in her new book, GGFVE From Around the World. Allyson, darling that she is, was kind enough to pop in for an e-visit on her book tour, and provided one of the many recipes you’ll find in her new book (see below). In a medium-size bowl, combine the masa harina, hot water, and salt into a dough using a fork. Cover and let rest about 20 minutes. To prepare the filling: Heat the olive oil over medium-high heat in a large frying pan and sauté the mushrooms, potato, onion, and garlic until the potato is softened and the onions are translucent, about 10 to 15 minutes. Salt lightly while cooking. Stir the cilantro, peas, cumin, and cheese shreds into the rest of the filling mixture. Transfer to a bowl and set in the refrigerator to cool. To assemble the empanadas: Grab a touch larger than a golf-ball-size amount of dough and roll out in-between 2 pieces of plastic wrap, forming a 5-inch (13 cm) diameter circle. Place about 1 heaping tablespoon (15 g) of the filling on half of the dough and using the plastic wrap, gently coax the other half of the circle to cover the filling. Use your fingers to seal the dough and form a half moon–shaped pocket. Make sure there aren’t any breaks or tears in the empanada; if needed, use wet fingers to help seal any small holes. Place prepared empanadas on a parchment-covered surface and repeat until all dough and filling has been used. To cook the empanadas: Preheat a deep fryer to 360°F (182°C). 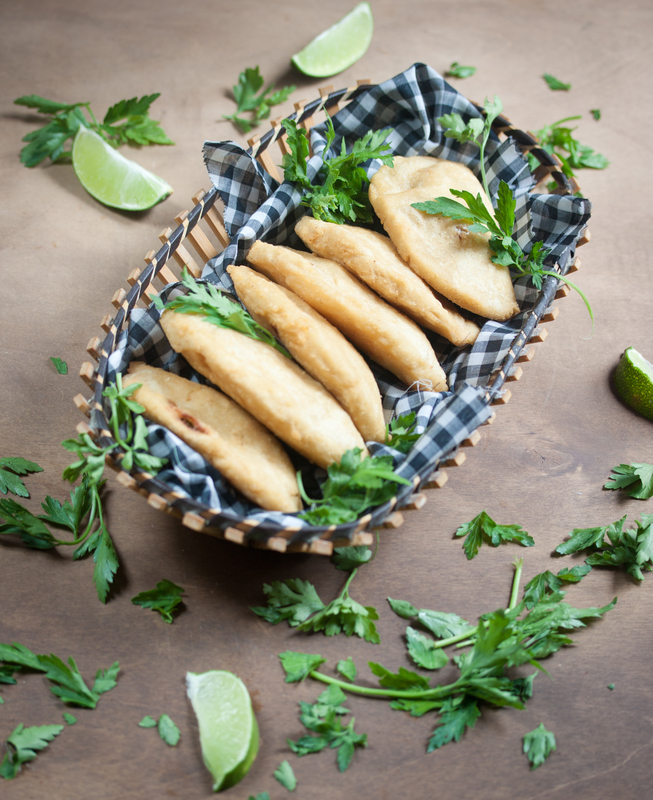 Prepare a surface with either paper bags or paper towels to place the empanadas on once they have cooked. Drop about 3 empanadas at a time into the preheated oil and cook for 6 minutes or until golden yellow in color. Place on the prepared surface and let cool briefly before serving. Recipe Note: For an easy alternate filling, simply stuff the empanadas with Soyrizo (in the book, page 103) and follow the directions the same way.Stir the cilantro, peas, cumin, and cheese shreds into the rest of the filling mixture. Transfer to a bowl and set in the refrigerator to cool. I just returned from a week of vacation and have planned to extend the feeling through Monday morning. No emails, no calls… Respite from constant-connectedness is gloriously calming. Enjoy your weekend and Happy Father’s Day to all the Papas out there! As it turned out, that weird stomach bug I thought was over when I made my last post hid itself away just long enough to trick me into thinking I was better, then woopsies I went out and got sick in a garbage can in a public place. New experiences happen all the time, right? Ew. I spent a few more days hunkered down in bed with peppermint tea and dog cuddles. 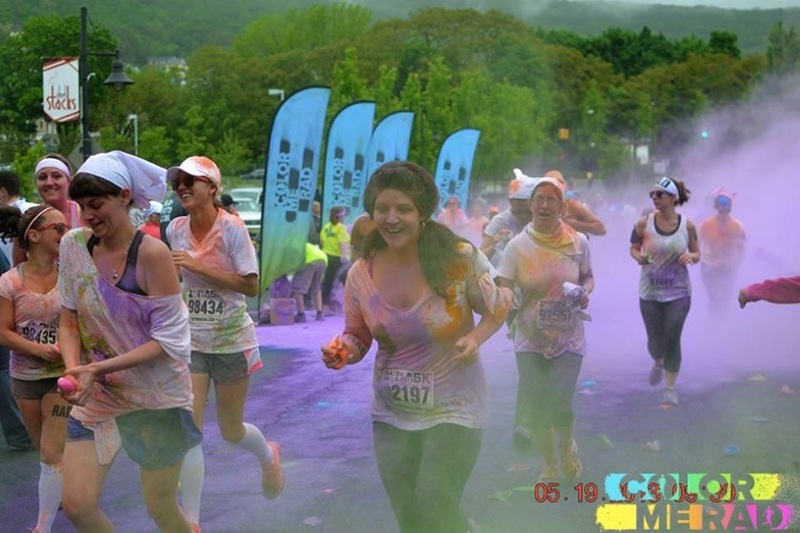 I was determined to make it to the Color Me Rad 5K, so I laced up my sneakers and made it through feeling not just good, but strong and happy and oddly connected to the 7,000 people running along with me. It was beautiful! 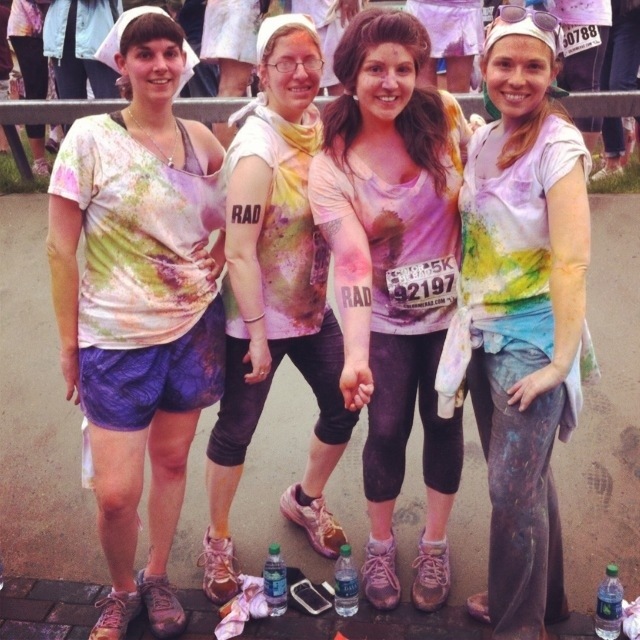 The Southside was a stunning mosaic of galloping bodies and candy-colored clouds. Everyone got RAD temporary tattoos, that um, seemed not-so-temporary, at least for the few days immediately following the run. I grew to love mine and briefly considered adding it to my forearm permanently. 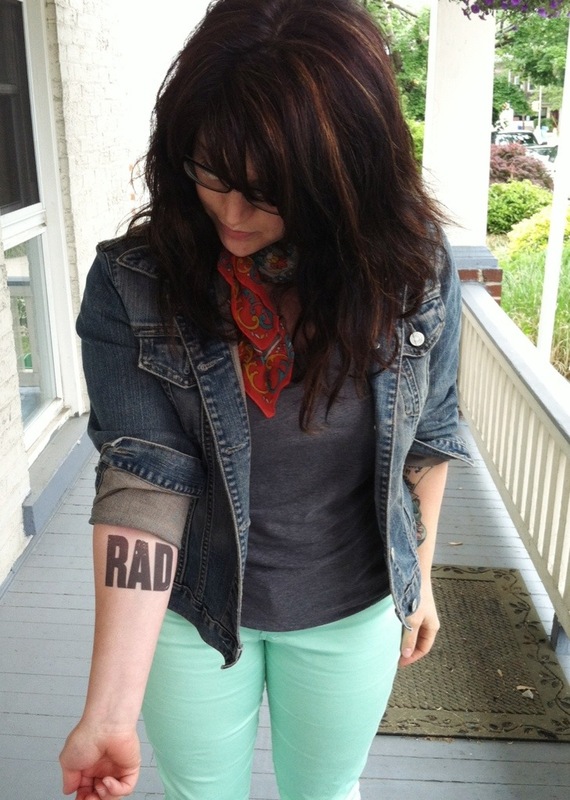 You are rad. I am rad. Life is pretty rad. I’m now part of a feminist book club with some local ladies, and our first meeting involved a delicious array of vegan cheese spreads, fig + almond cake, fresh fruit, and some wonderful insight. Our first book was Naomi Wolf’s The Beauty Myth, and it listening to the personal stories of the group about how beauty, self-image, comparisons, weight, and family relationships have affected their lives really left me more aware of how I perceive others and myself. (It’s awfully easy to make assumptions about folks and what their lives must be like, eh?) I am thankful for the openness and vulnerability of those in attendance who talked so candidly about deeply personal experiences, and the reinforced idea that we never really know what someone is going through, or has been through, especially when we only know them on a superficial level (or not at all). What are the standards you’ve set to measure your worth and success? Do you feel the need to achieve Boho Perfectionism? 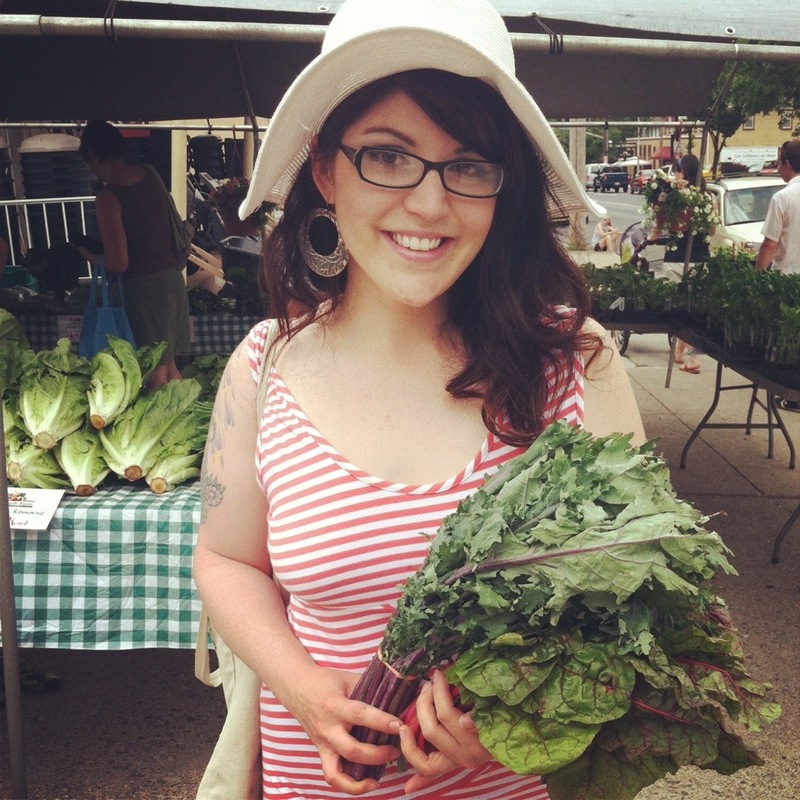 Farmer’s Market season is in full-swing, and I hope you can make it out to a farmer’s market and soak in the greens, the flowers, the straw hats and tote bags. 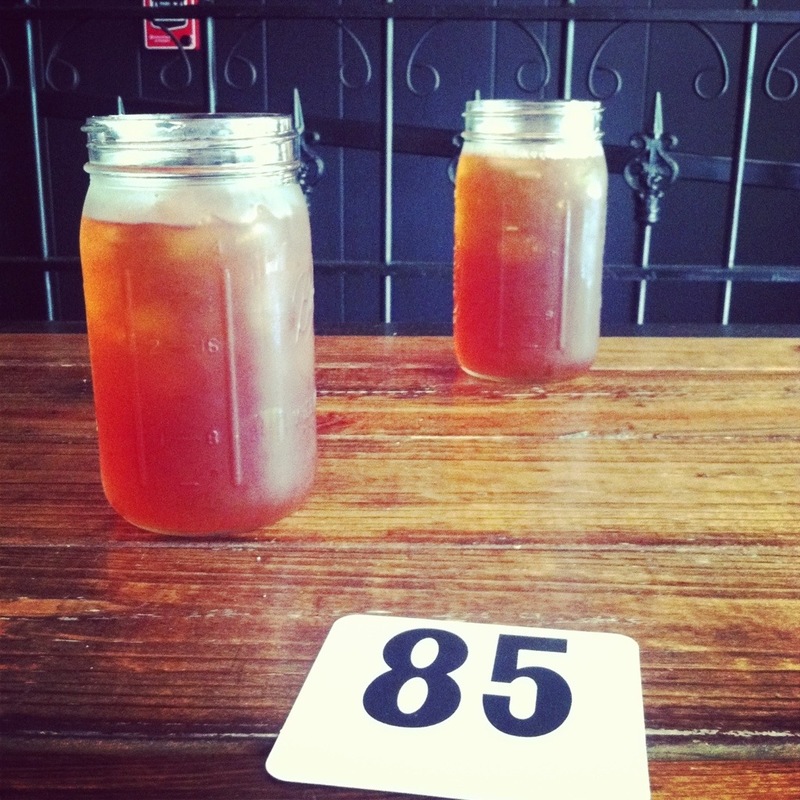 If you’re in Bethlehem, check out the new market on Southside. Not to mention all the rest in the Lehigh Valley area. … This weekend, me and Ryan take off for a vacation. I’m looking forward to the local walking ghost tours, days spent around a pool, days spent together obligation-free. Bring. It.